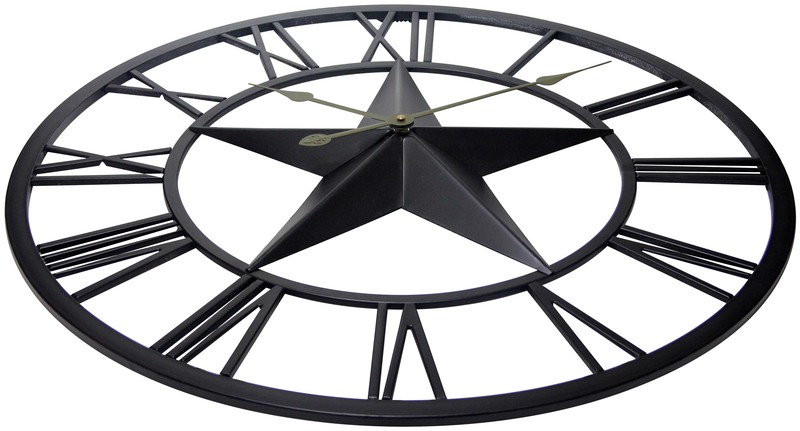 Calling all fellow compatriots- here is a sturdy and bold clock aptly named the Patriot! 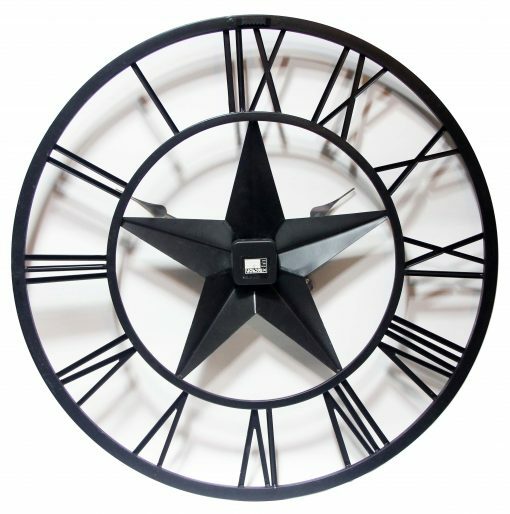 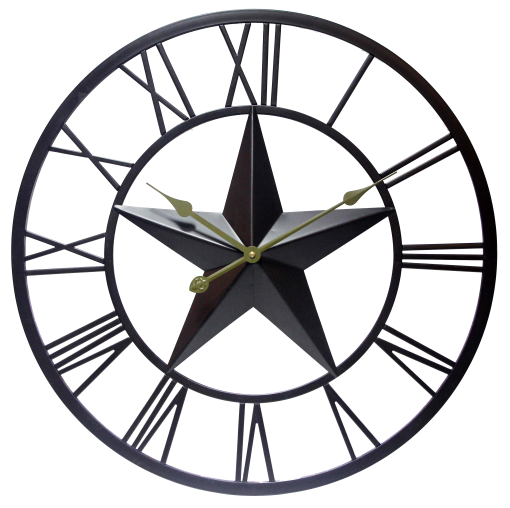 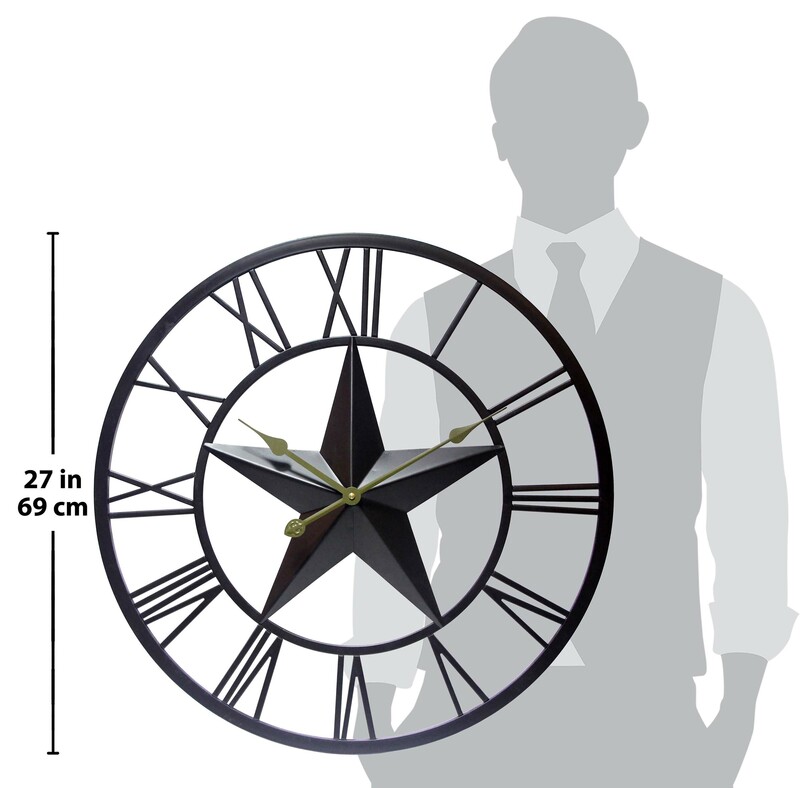 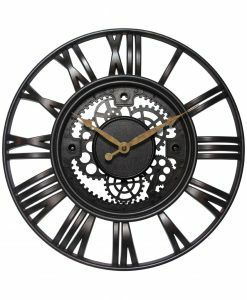 The main material consists of dark grey metal, this decorative wall clock prominently features a tin star right at the center. 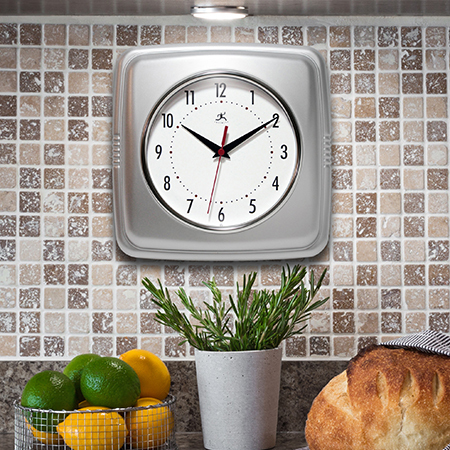 With its resilient and slim metal molding, the Patriot could be a transitional piece in your wall décor. 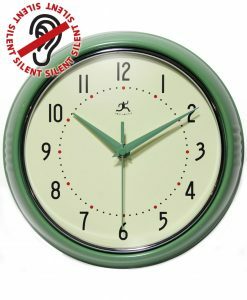 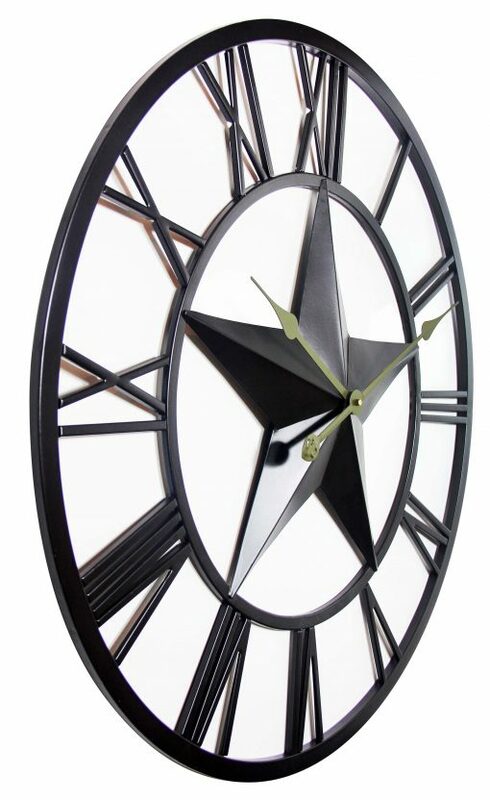 It is versatile enough to be an any-room-clock; it will add an interesting and nostalgic twist to your surroundings as an office clock or a living room clock. 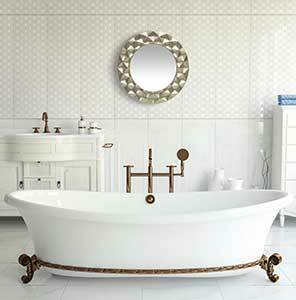 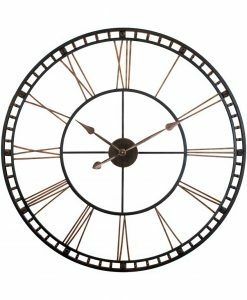 The clock’s face is ringed in roman numerals and is swept by slender olive green metal hands. 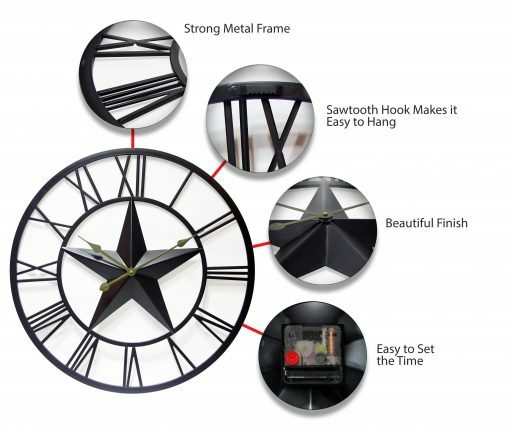 Nothing can be more perfect for someone with an interest in Patriotic Décor! 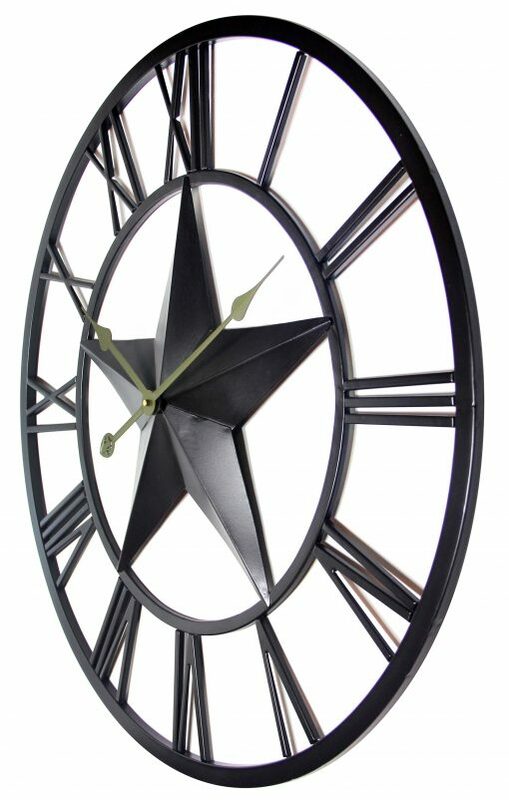 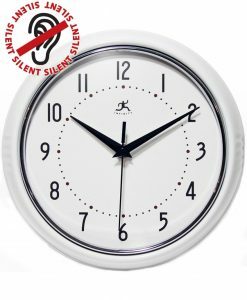 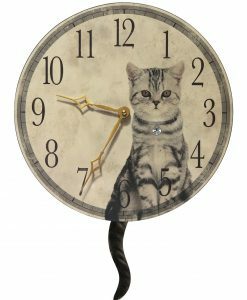 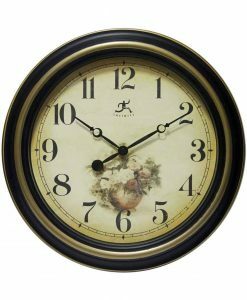 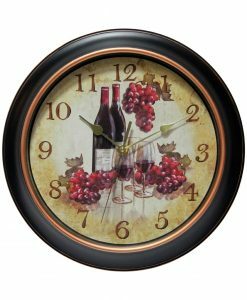 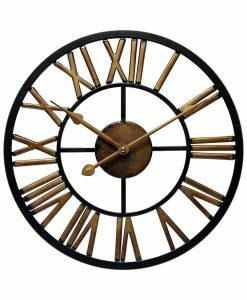 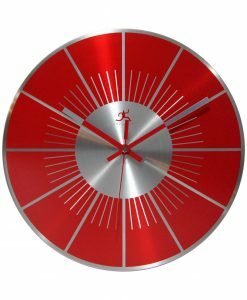 This 27 inch round clock can be mounted for indoor or outdoor use alike. 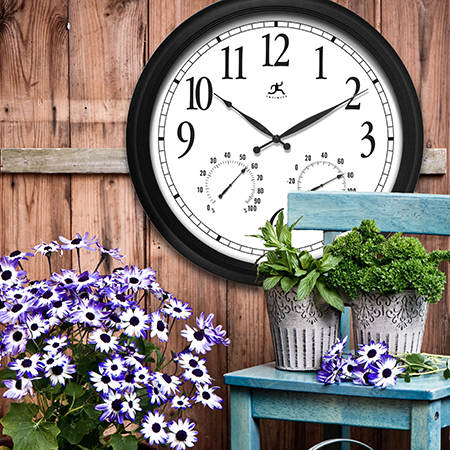 Built with high torque movement for accurate timekeeping, this timepiece will never get old. 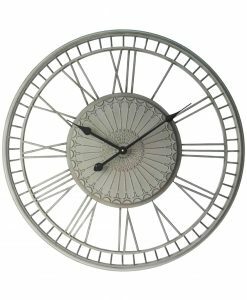 We think this metal clock will be the perfect gift for any occasion, be it housewarming, birthday or anniversary! 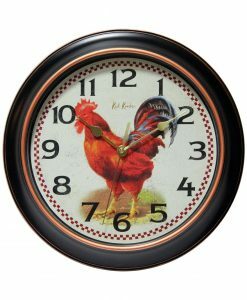 They will love to feature this in their homes. 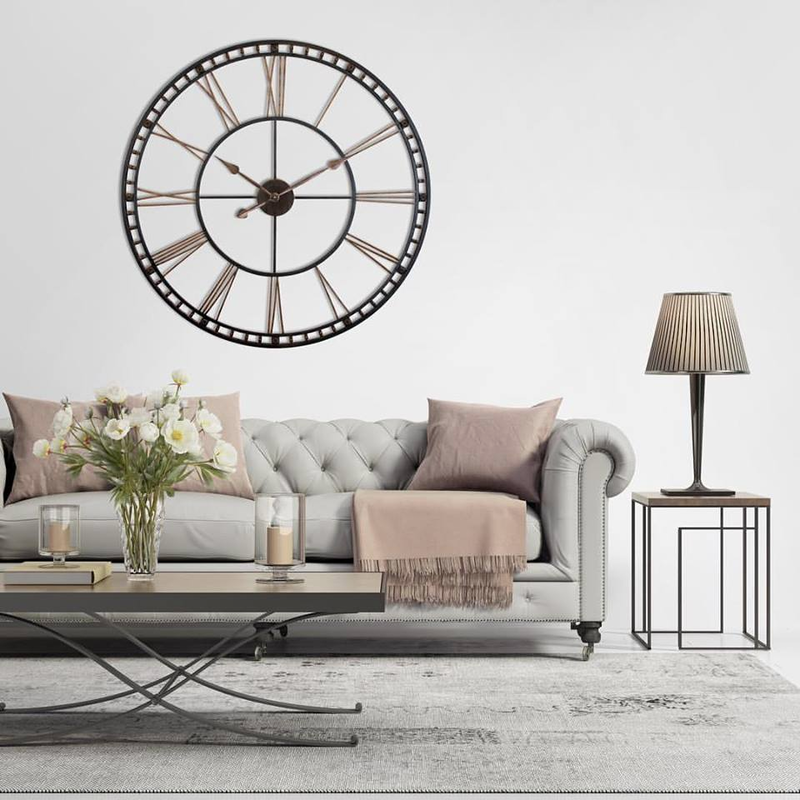 Because of its open face/no lens design concept, it seamlessly looks stunning against any kind of background: wood, stone or a simplistic painted wall. The Patriot comes with a warranty to ensure this stands the test of time. 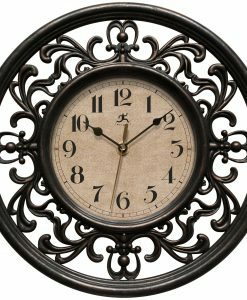 Get this beautiful clock now!